Lirael, Daughter of the Clayr by Garth Nix. It’s audiobook season up here in the Bed Blog! When slogging through a long, soggy commute, or plodding through a massive mindless task, audiobooks are a great way to get some reading done and take the pain out of an otherwise burdensome or stressful task. Also, to be quite honest, I read at a ninth-grade speed so I don’t get a lot of novels finished in my down time. All this, I suppose, is to justify listening to audiobooks. So there. I listen to audiobooks, but only if the narrator is fantastic. 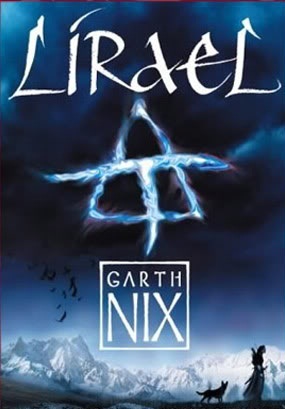 Lirael is the follow-up novel in the Abhorsen Trilogy by Garth Nix. I reviewed Sabriel some time ago and recently re-read it. When I picked up a copy of the audiobook for Lirael, I was delighted to see that it is read by Tim Curry! And although I can’t help but hear his character from Clue sometimes while I listen, he does a great job. I love the character of Lirael because she is a misfit in the Clayr, who are the seers that live on a glacier. Lirael doesn’t have the Sight, but she has a far better grasp of magic than anyone else on the glacier. She even managed to create a companion for herself, a magical (but very real) dog who declared herself to be The Disreputable Dog. Garth Nix creates wonderful, snarky, talking magical animals. Lirael is my favorite second assistant librarian with a sword and the book is great fun. If you haven’t picked up this trilogy, you are missing out.